Egypt protesters defy water cannon Jump to media player The amateur footage shows lines of protesters standing firm as they are blasted with water on the Qasr El-Nile bridge on 28 January. 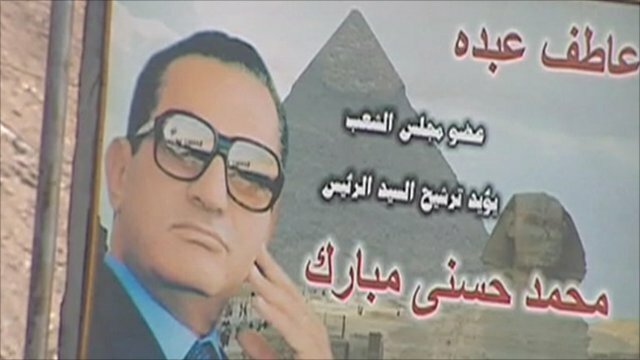 Reaction to Egypt crisis‎‎ Jump to media player International pressure is growing on Egypt as thousands call for President Hosni Mubarak to step down. 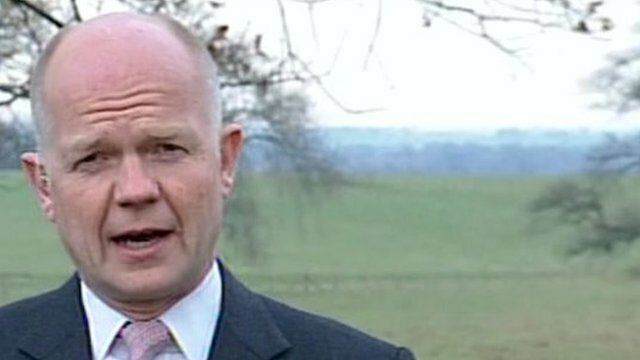 Egypt advice 'under constant review' Jump to media player Foreign Secretary William Hague has said that travel advice is being kept under "careful and constant review" as anti-government unrest continues in Egypt. Protesters in Cairo, Egypt, have been pictured getting on their knees to pray despite being hit by water cannon. 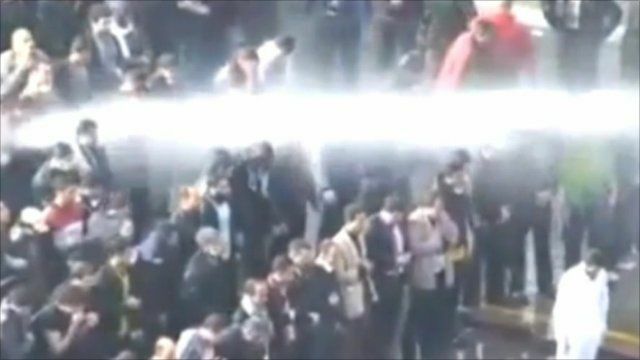 The amateur footage shows lines of protesters standing firm as they are blasted with water on the Qasr El-Nile bridge on 28 January. The BBC's Anna Adams said video is being uploaded to the internet by many protesters.